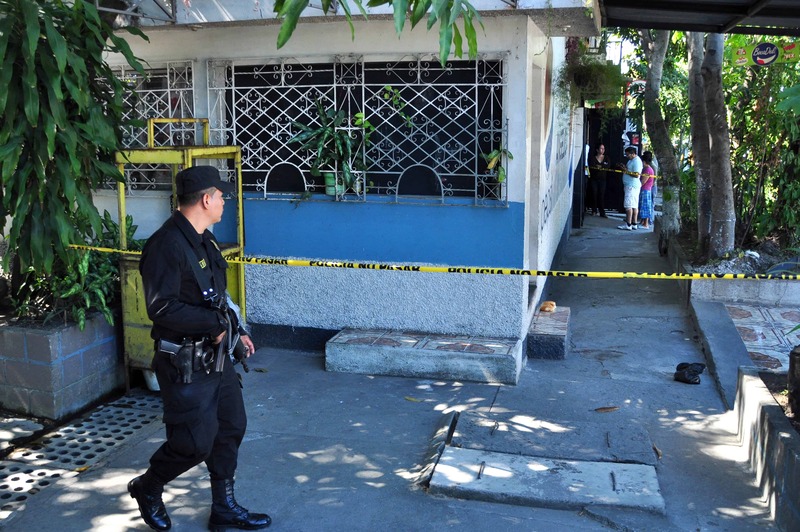 Latin America and the Caribbean is the most violent region on the planet, accounting for 39 percent of the world’s murders, the Inter-American Development Bank (IDB) said in a study published on Thursday. That amounts to more than 2.5 million murders in less than two decades, 75 percent of which were committed using firearms. Robbery is also three times higher than the world average (321.7 against 108 per 100,000 inhabitants) and 41 of the 50 most dangerous cities in the world are found in the region. The murder statistic is particularly shocking as only nine percent of the world’s population live in the region, and yet it is the only one where homicide is the main external cause of death (52 percent). The cities of Caracas, the Venezuelan capital, Acapulco in Mexico, the El Salvador capital of San Salvador and San Pedro Sula in Honduras are the most violent in the world and all have a murder rate of more than 80 per 100,000 inhabitants, between 10 and 20 times greater than the world average. “The region is an anomaly,” according to the IDB, because violence has not declined despite increased levels of development in recent years. IDB’s director of citizen security, Nathalie Alvarado told AFP that people in the region have little confidence in the institutions that are supposed to protect them. “There’s a need to create efficient institutions, police forces that are professional and closer to citizens,” she said. In the region, only 20 out of every 100 murders result in a conviction, compared to 43 percent across the world. Things are expected to get worse, too, with the region’s murder rate rising from 22 per 100,000 people in 2017 to 35 in 2030. Rapid and disorganized urbanization, stagnant productivity and youth unemployment are major factors contributing to the sorry state of affairs, IDB said. In the region there are 7.1 million youths seeking employment with another 15.1 million neither studying nor working. “Evidence shows that for every one percent increase in youth unemployment, the murder rate increases by 0.34 for every 100,000 people,” said IDB. A high instance of firearm use, particularly in Central America, is one of the main factors blamed for the region’s problems, along with organized crime and trafficking in drugs, people and illegal minerals.